Funded by the Arts and Humanities Research Council, the network is being convened by Sarah Hamilton of the University of Exeter and Helen Gittos of the University of Kent. Sarah Hamilton is a Senior Lecturer in Medieval History at the University of Exeter. Sarah is interested in the religious and social history of early medieval Europe, especially between c.900 and c.1200. 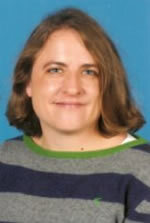 Sarah's work to date has focussed on the practice of penance, but more recently she has undertaken research into pastoral care more generally, and also into Cathar theology; she is currently investigating the practice of excommunication, and writing a book on the laity's interest in, and influence upon, the Church in the central Middle Ages. 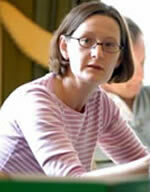 Helen Gittos is a Lecturer in Medieval History at the University of Kent. Helen is interested in all aspects of the social and cultural history of the early middle ages, particularly of Anglo-Saxon England. Her research has focused on Anglo-Saxon liturgy and architecture. She is currently completing a monograph based on her D.Phil. thesis which will be published as Sacred Space in Anglo-Saxon England: Liturgy, Architecture, and Place by Oxford University Press. Once complete, she intends to examine the use of vernacular languages in the liturgy throughout the middle ages. In collaboration with Dr Gabor Thomas (Reading University) she is also developing an archaeological project focused on the Anglo-Saxon site at Lyminge, Kent.